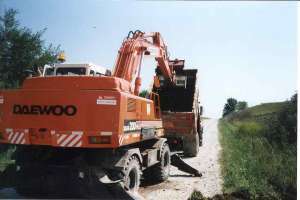 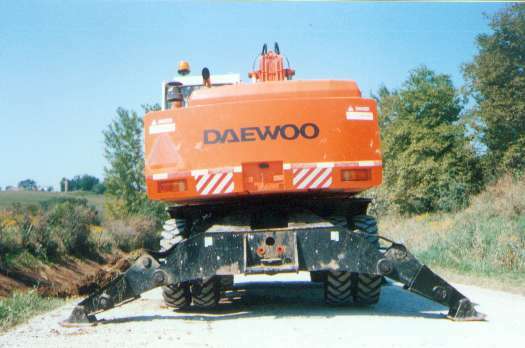 A Daewoo Solar 200 Excavator with Independent Outriggers installed on the front and back of the machine. 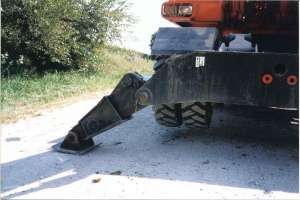 Outriggers can be placed on the front or back of the machine. 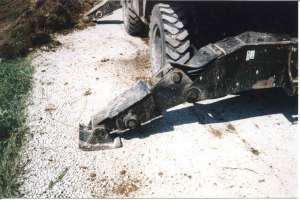 You can move each outrigger seperately to ensure it sets firmly on the ground. 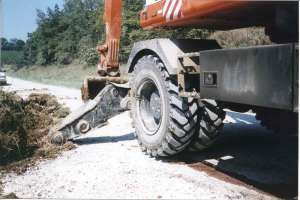 Independent Outriggers by PWCE will stabilize your machine, helping you to move more material quicker.